Join a growing global community, help raise consciousness and harness the energetic frequencies of transformation at this powerful time. » Plug into this unique energy transmission. » Receive the necessary activations and coded information sequences. » Be supported to make the transition/shift. » Open the heart to truth, the mind to infinite possibilities and awaken your potential. » Come into alignment with a greater purpose, a shared vision - Oneness with All. Take your place. It's your time to shine – and bring the Light of your true essence to this planet, at this time. 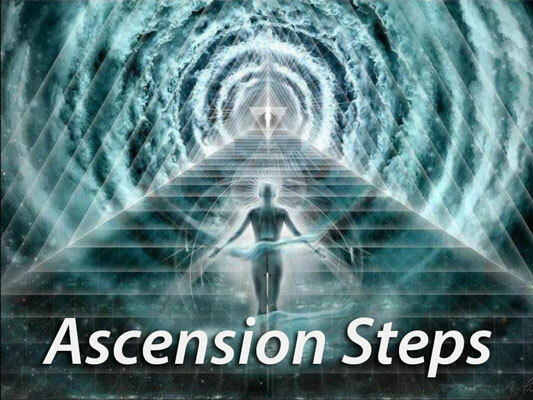 After the great success of the recent Ascensions Steps broadcast, we are delighted to offer you the opportunity to continue this journey and receive guidance, insights, further activations and supporting energy transmission. These broadcasts are priceless, and come to you Free of charge. We are delighted to offer you the opportunity to continue this journey and receive further guidance, insights, activations and supporting energy transmission. The next wave of energy is coming, and the following 3 weeks will support this transformational period with weekly broadcasts, and powerful activations sequences. You have been preparing for this specific point in time. Through this powerful broadcast you will take your place and a portal will be activated bringing you into alignment with the heart of the Earth. This very special moment has been drawing closer, and calls you forth to bring your Light, and open to all that you are. This is a Gateway moment. Your presence is required. This powerful broadcast will bring together all that has been invoked over the past few weeks and show you how to ground the new frequency easily, naturally and practically - so that you can benefit fully from that which you inherently know. The true power you came here with is finally acknowledged, and a place where it can be shared must now be found. You are ready to move into a whole new way of Being, and this unique energy transmission will guide you all the way. It is time to set yourself free, and be all you came here to Be.